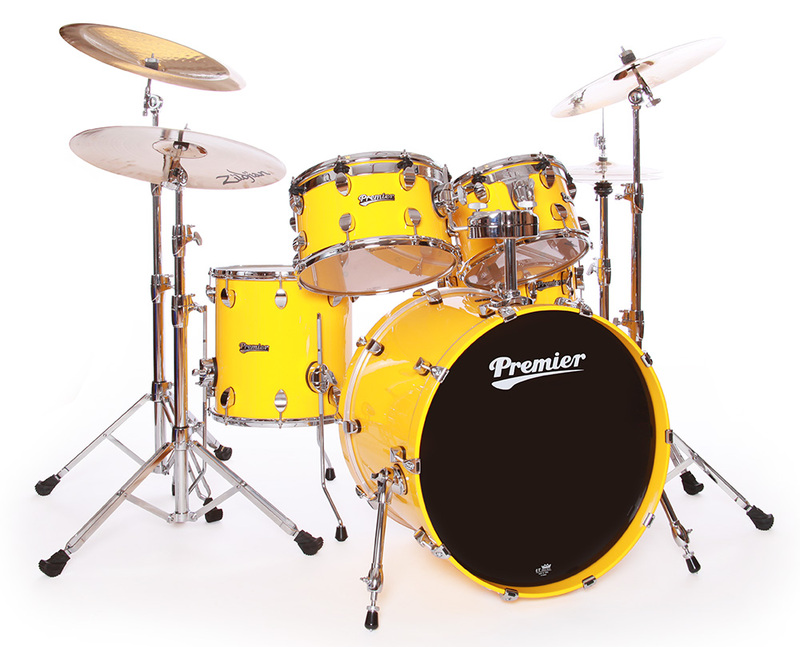 Premier’s flagship drumset range is the culmination of a production history spanning every key move in modern popular music. 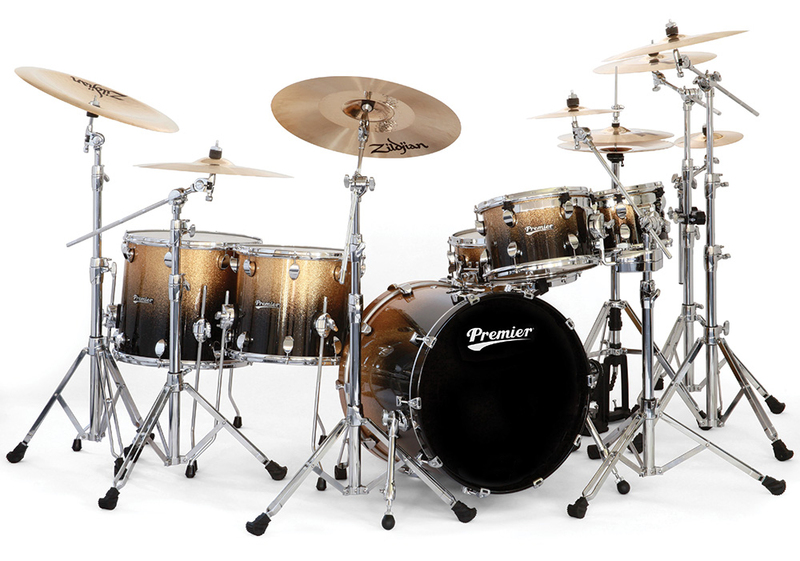 Crafted from the highest quality materials, Elite gives you drums as true musical instruments. 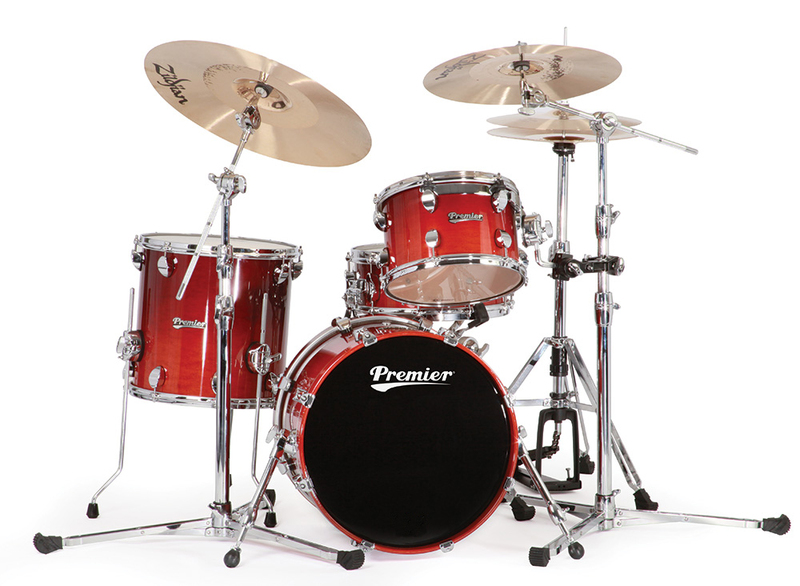 Elite’s immediate history as a natural development from our Premier Series launched in 2003 has afforded us the ability to correctly assess the needs of today’s drummer and present them with an intelligent and exciting choice. Elite is all about you the drummer! As standard we fit our flush fitting ISO mount. 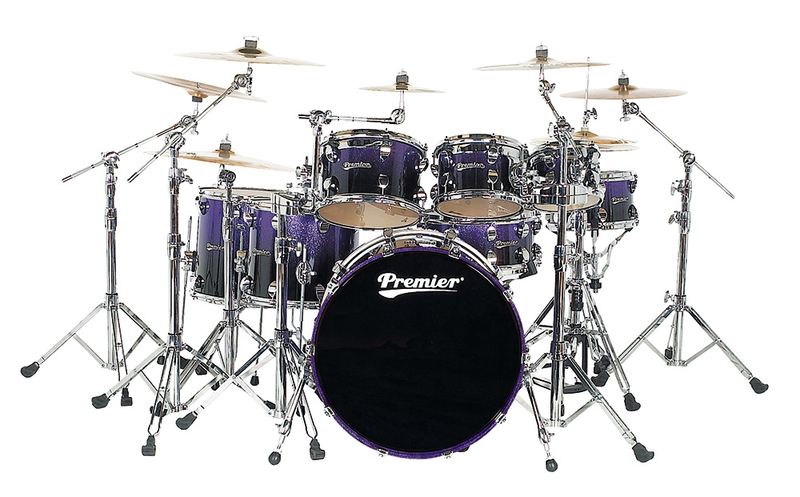 A close circumference design which allows close tom placement alongside the well documented sustain, extended tonality and separation that shell mounting allows. 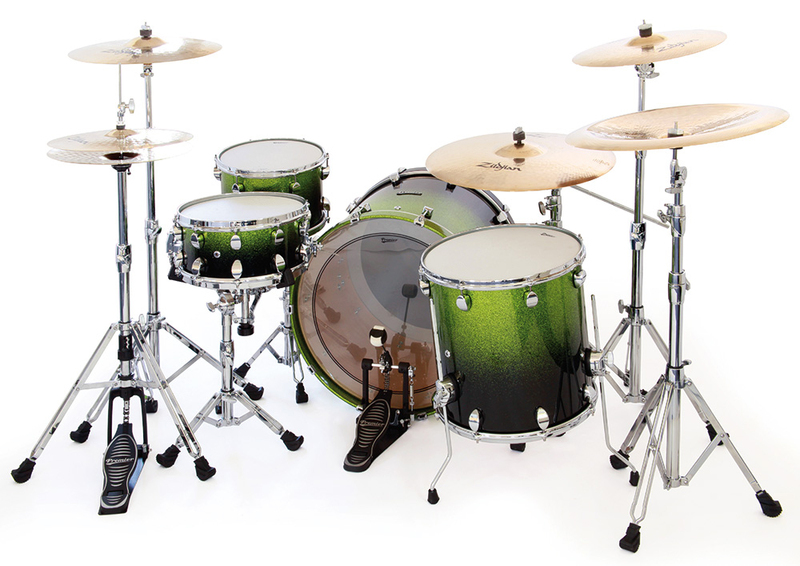 Each tom is fitted with 2.3mm triple-flange steel hoops (no longer available with die-cast). Sound engineers both in recording and live situations have been quick to congratulate us on the great sound of these drums. Standard workshop fitting of Remo heads further compliment the Elite timbre. 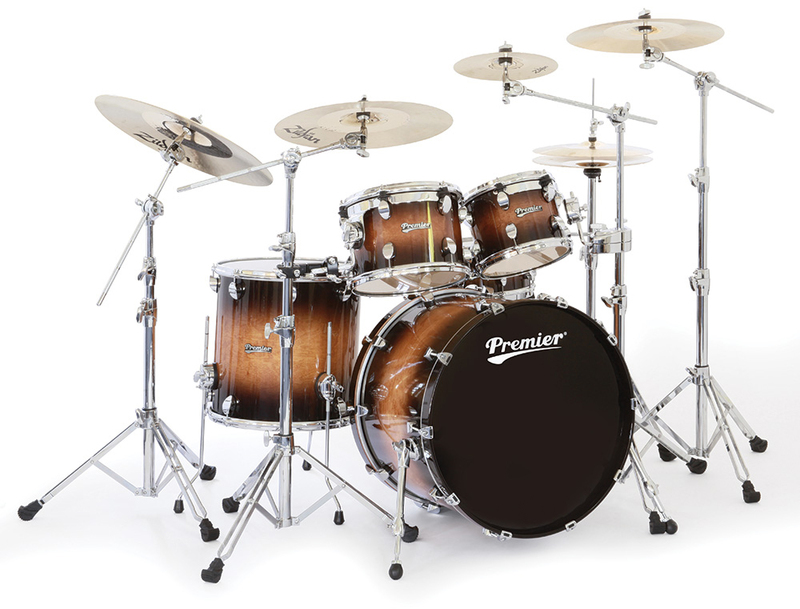 Not reliant upon just one type of drum shell, our use of North American maple and birch offer the Elite player detailed control of their own sound. 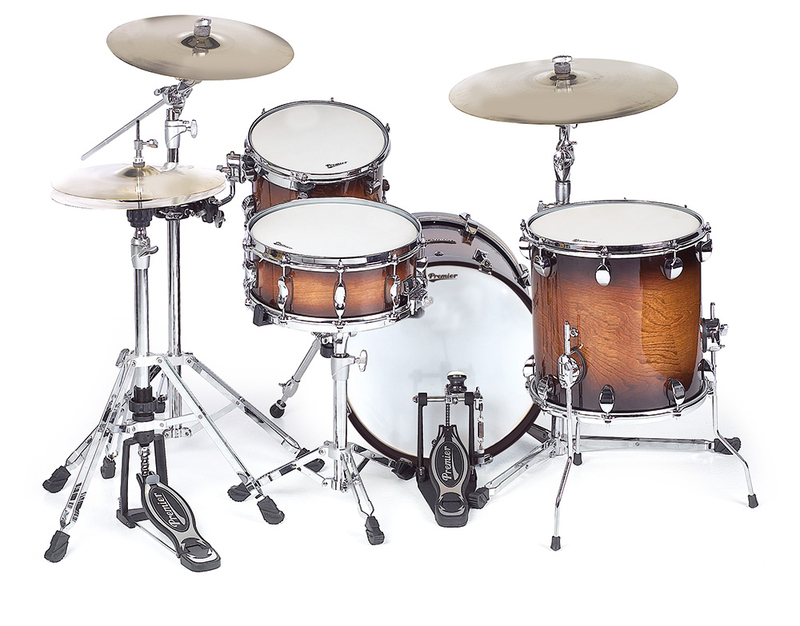 Each tom and floor tom shell is undersized by 3mm allowing the head to seat flatter over the bearing edge extending the resultant tone and sustain. 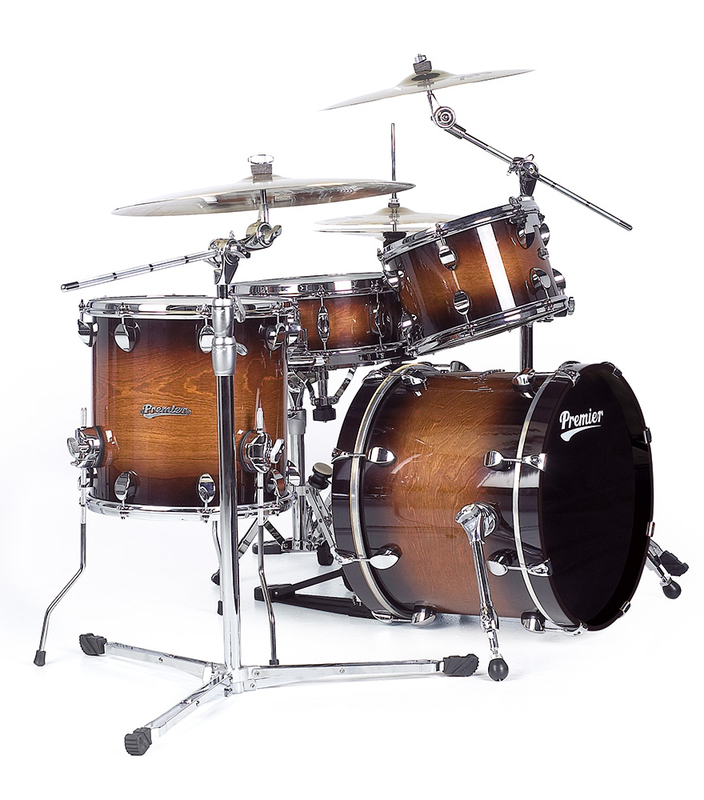 Birch produces very strong mid to top end frequencies and maple is well known for its inherent focus of lower mids; built as a 7-ply un-supported shell. 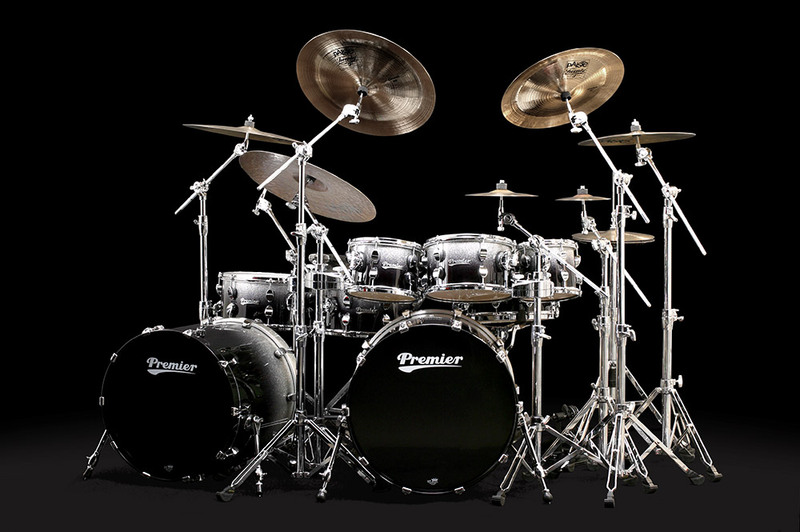 Drummers looking for power and projection or warmth and articulation are well catered for. 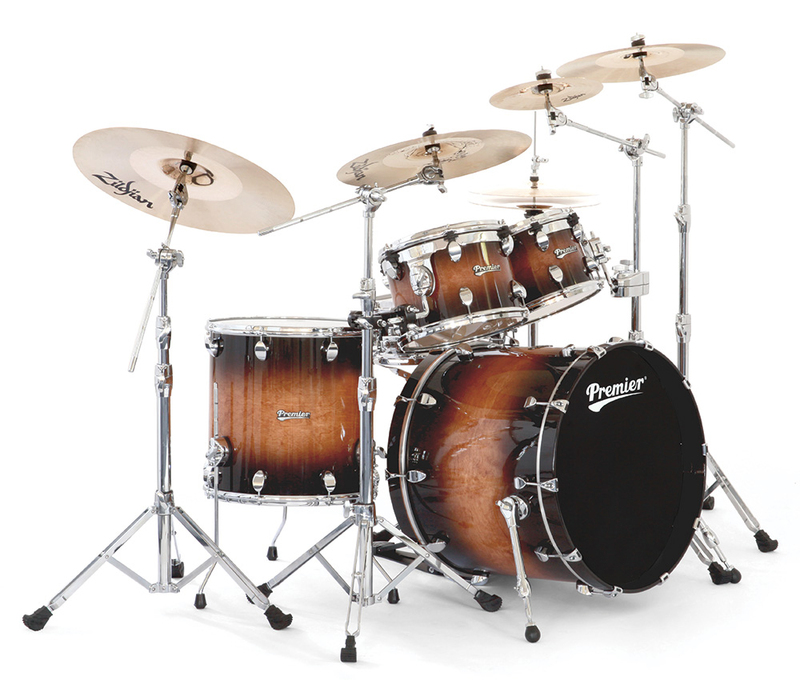 Gen-X is our unique offering with a 7-ply shell combining both our carefully chosen birch and maple in a well researched ratio (2-ply birch on the outside and 5-ply maple on the inside) that delivers the key sonic features of the two. 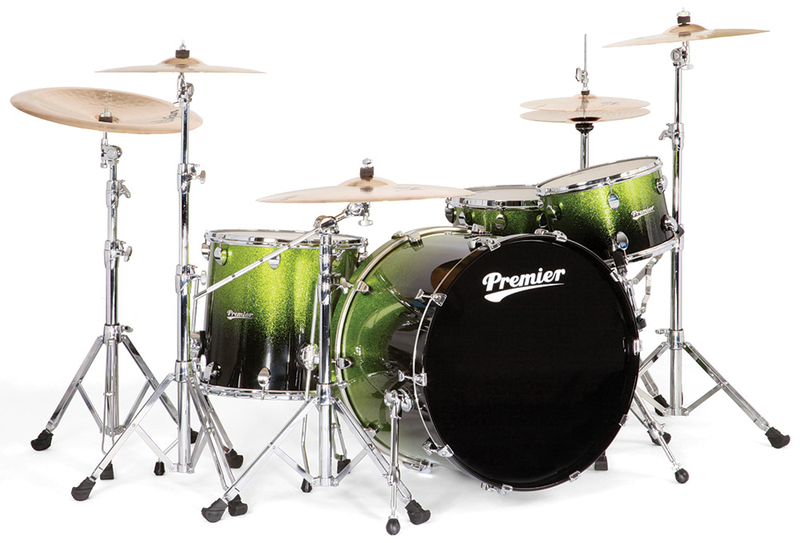 The Premier Series Elite is the ultimate offering for any drummer. We are proud to offer stunning finishes which include vibrant woodgrain lacquers and lustrous sparkles in a combination of even-coat, fade, or burst applications. 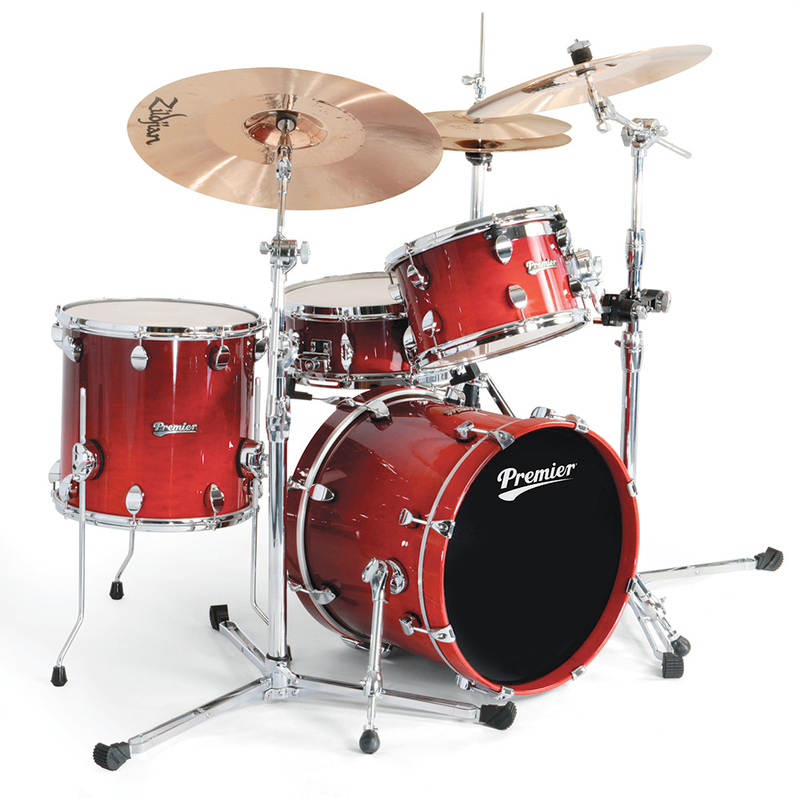 Why not opt for a finish identical to that of your favourite drummer? 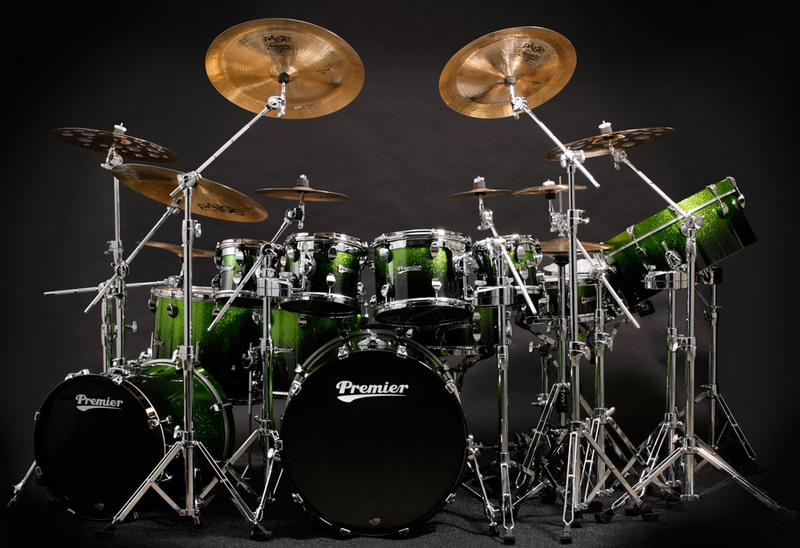 A wide range of proven sizes are available as standard with the option of quick, standard, power or new short stack toms to choose from. 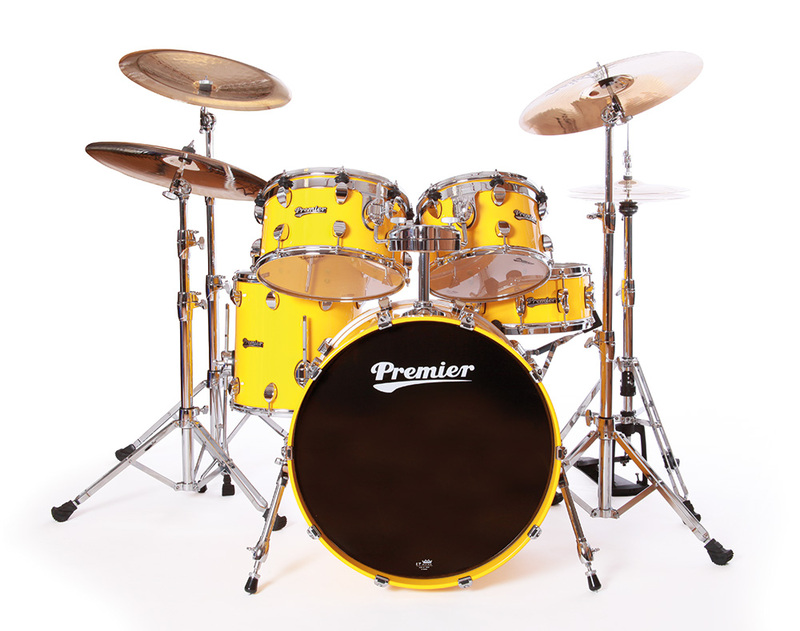 All sizes of bass drum are catered for with the option of with or without a tom mount.